Long rifles that snipe from far away aren’t always the best tool. For smaller game or quick-moving targets, you’ll want to use a .22-250 rifle that has the power, speed, and accuracy necessary to hit fast targets humanely. A scope is a good addition to any .22-250 rifle, but there are so many on the market that finding the perfect one might be tricky without the right information. Check out this guide for the best advice and several top-tier scope recommendations. 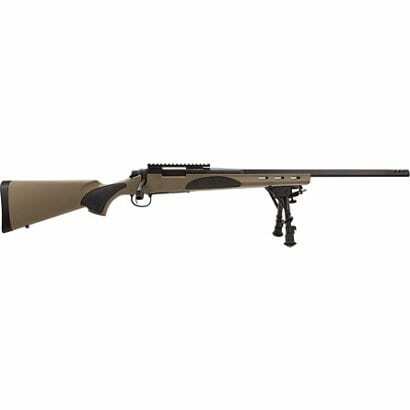 The .22-250 rifle is a versatile weapon that’s ideal for hunting small or medium-sized animals. You might be able to handle larger game, such as deer, but this depends on the local laws of your state. Generally, .22-250 rifles are exceptional at this kind of work due to their bullet shape and power, which can travel accurately through windy conditions and have less recoil than many other hunting firearms. A .22 caliber rifle isn’t too strong for most folks to handle. The lack of kickback and precision through wind allow it to track fast-moving game with ease. Its high speeds will place bullets into your target before they have a chance to get away. How Accurate is a .22-250 Rifle and What Magnification is Ideal? The .22-250 rifles are extremely accurate at short-to-medium ranges, or around 25-200 yards: about the ideal distance you want to be for hunting varmints or similarly-sized game. Because of this, magnification levels of around 3-7x are usually ideal for most hunters, although you can kick this up to higher levels, such as 12-20x if you plan to hunt game from further away. The low recoil incurred by the .22-250 rounds helps the accuracy, too, especially when it comes to follow-up shots. The size of the rifle and the velocity of its bullets make it a good choice for taking down small, skittery targets that may need to be tracked. Therefore, in general, lower magnification levels will be ideal. There are so many scopes in the market and picking the right one is a task in itself. Below, we have shortlisted & reviewed some of the best scopes for .22-250 to make your task easier. This ultimate scope is a great example of utility and affordability. 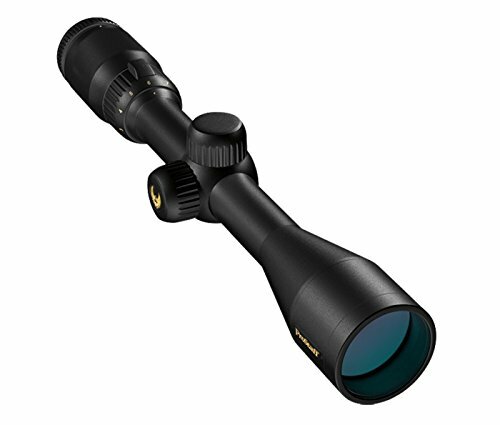 It’s got everything you could possibly want from a scope for a .22-250: good magnification levels, a 40mm lens, and an eyepiece that’s large enough for quick focusing onto a rapidly-moving target. The lens is multi-coated to both prevent scratch damage and to transmit up to 98% of available light. This boosts the color contrast you’ll see in the sight picture, which means that you’ll have an easier time picking out your target in mono-color backgrounds, such as forest foliage. The eye relief offered is generous at 3.6 inches. The recoil given by a .22-250 is never bad to begin with, but eye relief is always a good factor to consider since bruised brows ruin hunting trips quicker than almost anything else. This item is lightweight but totally weatherproof, so you can use it no matter the current weather or your surroundings. Hunting during any season is made possible thanks to its exceptional construction. The adjustment knobs are spring-loaded and reset to zero after you sight-in. They don’t click with as many possible settings as some other scopes, but that’s a minor flaw in an otherwise-amazing model. Affordable and versatile, the Nikon ProStaff brings great features to your .22-250. The lens and eye relief are both wonderful for the snappy target acquisition you’ll need from a good scope, and the durable construction means that you’ll be using this product for a long time to come. 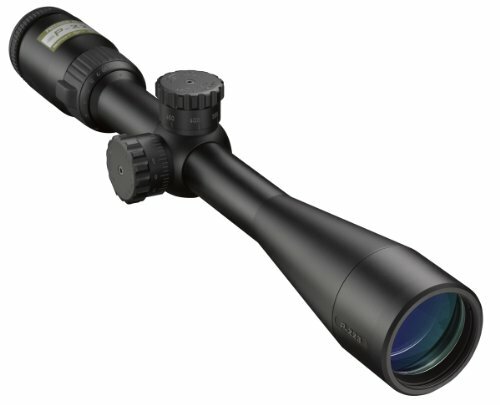 This scope is another great example of a product that enhances and complements the natural strengths of a .22-250 rifle. The lens is multi-coated for clear, bright images that can be composed in low or high light levels. Shooting at dusk or dawn is very easy with this scope. Zoom magnification levels go from 4-12x, which is a little high for super-close targets but which also offers some good distance in the event you spot an opportunity for a ranged shot. The reticle is a BDC design, which means that you can see through its markers to better track your target as you line up the shot. It's also etched onto the second focal plane, meaning it'll stay the same size no matter what magnification level you're on. This is an optimal design for shorter-ranged weaponry. The rest of the product is made just as well. It’s weatherproof and made from a single piece of durable material with an anodized finish. The precision glide erector system lets you move it smoothly as you track your target, reducing friction for a comfortable, quiet experience. The Diamondback riflescope is a quality piece of equipment that has a second focal plane reticle which pairs perfectly with the focus of a .22-2550 rifle. The scope is light and moves smoothly thanks to its precision glide erector system and its lenses present one of the brightest sight pictures you'll find in scopes of this caliber. The VX-1 comes with one of the best lens systems we’ve ever seen. Each of its four lenses is multi-coated and designed to improve brightness and contrast at each step of the way. The result is that the light entering your scope reaches your eye with extreme clarity and color contrast. This makes tracking or finding targets easier than many other competitor offerings. The zoom factors go from 3-9x, a perfect series for .22-250 rifles. In addition, changing zoom values on this device is easy and smooth. The windage and elevation adjusters click audibly and satisfyingly. They change with ¼ MOA while some other scopes have ⅛ MOA, but this isn’t that big of a problem for most hunters, especially at shorter ranges. The scope is weatherproof and ready for use for a lifetime, adding a lot of value to the asking price. It's rugged and dependable, but despite this, it's also very compact and easy to store or carry. Smaller rifles will be able to take advantage of its relatively small size. The VX-1 provides smooth, compact service in a durable shell. The lenses are exceptional and can turn grim low-light into a colorful sight picture that’s ideal for picking out small critters for your acquisition. It represents outstanding value for the money, especially since it’s built to last for years to come. The P-223 is built for rapidly responding to a moving target. This makes it an ideal choice if you plan to frequently hunt varmints and smaller animals that have a tendency to dart out of your sight picture. The turrets are made for quick adjustments at around 100 yards. Keeping your catch in your sights, therefore, will be easier than with clunkier scopes. The reticle adds to this functionality since it’s a BDC model. Seeing through the reticle marks always makes tracking targets easier. The reticle also features hash marks from 100 to 600 yards, allowing you to easily gauge distance. The elevation and windage adjusters are precise and click satisfyingly, although they stick out a bit from the main tube and are larger than we would like. The optics are multi-coated and improve light transmission and brightness. Dusk or dawn are perfectly acceptable times for sighting with this scope. The magnification levels of 4-12x are good for .22-250 rifles and offer closer or longer-range options for any situation. Finally, it is made from a durable aluminum polymer that’s made to last for years to come. The P-223 is a great scope for tracking small, quick-moving targets because it makes adjustments easily and as rapidly as your own reflexes. 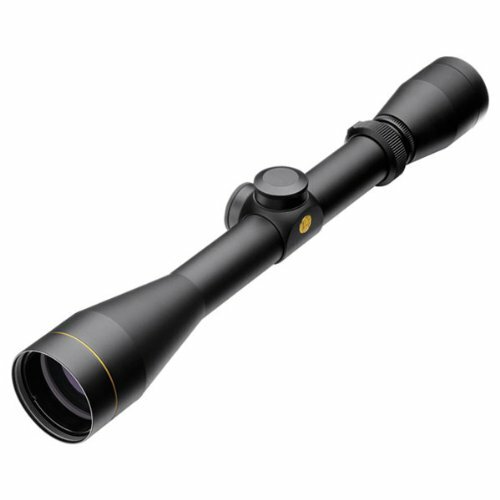 It offers good optics and an array of magnification levels that are suitable for rifles of this caliber, too. Finally, the Viper PST offers a more ranged approach to hunting medium-sized creatures, such as coyotes. The magnification levels reflect this, as they go from 5-25x. The longer the zoom, the better tools you’ll need for adjusting for distance and windage. The reticle is placed on the first focal plane for this purpose. This means that the reticle will adjust between zoom settings, allowing you to better calculate your bullet trajectory over vast distances. The reticle is also illuminated and can be adjusted between ten different intensity settings to optimize your user experience. The glass that makes up the lens is made to disperse light as minimally as possible, collecting extra light to improve both resolution and color fidelity. The turrets are smooth to swivel and adjusters for windage, elevation, and parallax are all precise and set to zero after sighting down the scope. This increases your precision at long ranges. The lens has been coated with Armortek to prevent scratches from dirt and smearing from oil. In addition to the lens durability, the rest of the scope has been argon-purged and O-ring sealed. The entire unit is weatherproof and is made from a single tube of aircraft-grade aluminum, ensuring a lifetime of use in any conditions. This definitely helps justify its rather high asking price. The Viper PST comes at a high price, but it’s worth your time and money because it offers unparalleled performance at long ranges. It’s built to take advantage of the .22-250’s snappy responsiveness and high accuracy by adding a great, illuminated reticle, well-designed glass lenses, and smooth adjuster knobs to eliminate parallax and aid in distance calculations. Before you select your scope, remember these key ideas and consider the effect they’ll have on your hunting experience. 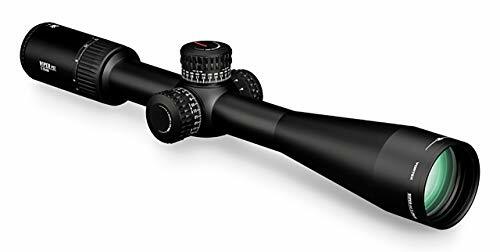 Scopes that have magnification levels of over 30x are a waste since that's beyond the intended range of the .22-250 rifle. Instead, find one that has lower zoom levels to take advantage of the snappy, high-velocity fire that the .22-250 offers. A broader lens will allow you to see more of the environment before you take your shot, assisting your efforts to take down moving game. Look for lenses that have a width of about 35mm or higher. Scopes that aren’t built to last will end up costing you money in the long run. Try to find products that are weatherproof or are made from aircraft-grade aluminum or better. This will allow you to use it in any outdoor conditions without worrying about its functionality. Now you’ve got everything you need to bag small, skittish game that’s too fast for sluggish rifles. The low recoil and fast rounds make firing this gun a joy. With the right scope added, a .22-250 can help you realize your hunting objectives better than you ever imagined.